iPhone has a built-in feature in its camera that can record both time lapse and slow motion videos. But can your Android phone also do that? Well, Android doesn't offer any built-in feature in its camera but there are a number of third-party apps available on Google Play Store that can help you to make slow motion videos. A slow motion effect mainly depends on the frame rate you are capturing. The more be the frames per second (fps), the more good results you will get. It is the opposite of time lapse video where the frame rate is very low. When a slow motion video is played at normal speed, it displays less frames in a second which produces slow motion effect. 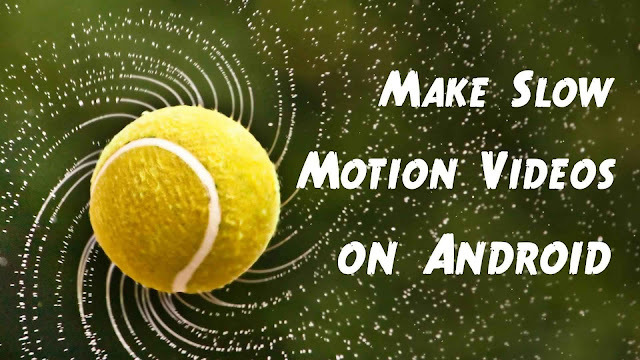 This tutorial will guide you how to make slow motion videos on your Android phone. There are a handful of apps you can try to make slow motion videos on your Android phone. 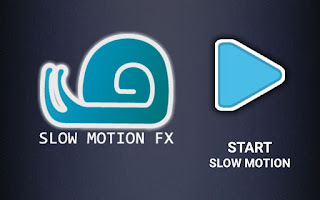 Slow Motion FX is one of the best and most popular apps in this category. It allows you to shoot a slow motion video or you can edit videos that are already saved on your phone. Download and install Slow Motion FX app from Google Play Store. Open it and tap the play button. 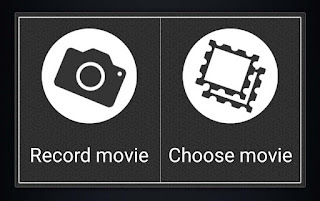 Click "record video" option to record a new video or choose one from your phone. Once you have recorded or imported the video, move to the editing part. The tutorial will show you how to edit the slow motion video. There are two zones on editing screen: slow zone (below the centre line) and fast zone (above the centre line). You can move points in these zones to make a section of video fast or slow. Finally, save the video to your phone. Speaking frankly, you can't shoot a good slow motion video with your phone's camera if it doesn't allows you to set frame rate manually. As already mentioned, a good slow motion video is shoot with higher frames per second. Most of the Android smartphones records 30 fps video only. Efectum - It allows you to create fast, slow and reverse videos very quickly. Just import the video from your phone, trim it, and edit the effect. You can choose speed from 1.5x to 5x times slower than the normal speed. 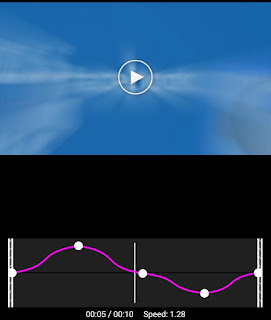 PowerDirector - PowerDirector is one of the most powerful video editor apps. You can create a slow motion video with this app and make it more professional. For example, you can apply filters and add background music to your video. So that's how you can create and edit slow motion videos on your Android phone. If you want to ask something about this tutorial, feel free to share it in the comment section.